Ginseng is one of the most well known herbs in the world. It’s immensely important in Traditional Chinese Medicine, and has slowly but steadily rooted itself in the Western world. Speaking of roots, what we have come to know of as ‘Ginseng’ is the fleshy fork shaped root of the plant Panax ginseng. This is just one of 11 species in the genus ‘Panax’. The species in the genus Panax are characterized in part by the presence of ginsenosides in their leaves and roots. There are over 30 ginsenosides; each of which have a unique effects in the body. Due to this, it is not surprising that Carl Linnaeus named the genus ‘Panax’ in order to capture the concept of ‘panacea’, a substance that is all-healing. Not all Panax Ginseng is created equal. The fact that there are 11 different species in the genus panax brings us to one of the first, and arguably most crucial, facts about panax ginseng that is often overlooked. Since all panax species contains at least one of the 30 ginsenosides, it is very easy for species to get mixed up through conventional analytical methods; such as UV-VIS. This means that not all “panax ginseng” is actually panax ginseng. It could very well be that what is being sold as panax ginseng is actually the much cheaper to produce panax quinquefolius; which is better known as American ginseng. In fact, many of the panax ginseng products on the market, either knowingly or unknowingly, are mislabeled American ginseng. Some companies do it to save money, while others are just not knowledgeable enough to be able to tell the difference. There is only one truly accurate way to be sure whether or not we are dealing with real panax ginseng, and that is to run a sample of suspected panax ginseng through HP-TLC, or high performance thin layer chromatography. Even though every species of panax contains ginsenosides, all of the species have a unique ‘fingerprint’, which can be accurately picked up with HP-TLC. First a reference ‘fingerprint’ is created for panax ginseng. Then a sample of suspected panax ginseng is run through HP-TLC. Afterwards, the sample fingerprint is compared to the reference fingerprint. If they match, then we are dealing with genuine panax ginseng. If they do not, then we are either dealing with one of the other 11 species of ginseng, or a completely different plant altogether. In addition to species analysis, HP-TLC is able to tell which part of the plant was used to make the extract. So you can determine if leaf, root, or stem materials were used. This is extremely crucial, as the types, amounts, and ratios of active ingredients differs wildly between the parts of the plant. For example, the plant kava has toxic substances in the leaves, which are not present in the roots. So if a company is selling a kava extract that used both the leaves and roots, they are potentially harming their customers. Panax ginseng does not have any toxic compounds in the leaves. However, the amounts and ratios are very different; which is why we offer both a leaf and root extract separately. 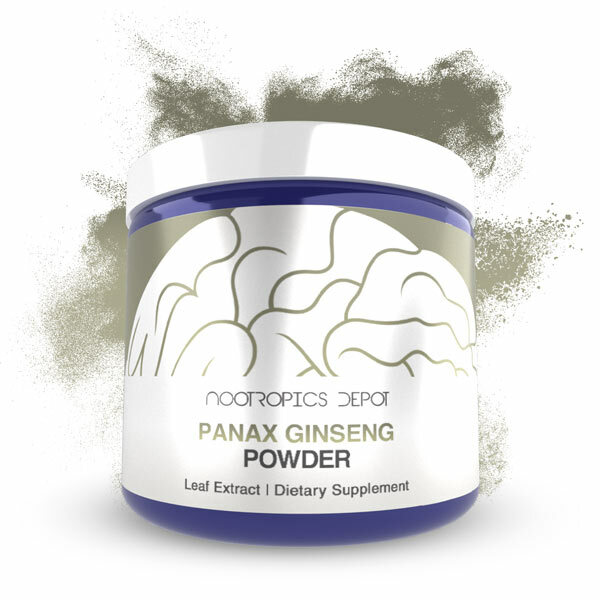 Here at Nootropics Depot all of our panax ginseng is evaluated with HP-TLC, so you can be absolutely certain that you will consistently receive genuine panax ginseng. If you’re interested in learning more about HP-TLC then this is a very informative journal article about species identification through HP-TLC. So you’ve made it this far into the article and are probably starting to wonder: if all panax species contain ginsenosides, and these ginsenosides are what I’m after, then why do I care which panax species I’m consuming? To answer that question, we’ll first have to examine the variance of effects between the six main ginsenosides, and their metabolites. Ginsenosides mainly exist as either 20(S)–protopanaxadiols (PPDs) or 20(S)–protopanaxatriols (PPTs). The main chemical difference between them is the presence of sugar side chains at C3, C6 and C20. Variations in these side chain sugars determine where the ginsenosides will bind in the body, and how they will eventually be metabolized. In general, it has been found that PPD’s tend to bind to estrogen receptors (ER) and metabolize to Rg3, whilst PPT’s tend to bind to the glucocorticoid receptors (GR) and metabolize to Rh1 (Leung et al., 2009, Park et al., 2013). To put it fairly simplistically for the time being, panax ginseng contains high concentrations of PPT’s and low concentrations of PPD’s, whilst the reverse is true for American ginseng. Thus, panax ginseng has the potential to be more stimulating; due to PPT’s affinity towards the glucocorticoid receptors. Whilst American ginseng has the potential to be more calming; due to PPD’s affinity towards estrogen receptors. In addition to this, there are other major difference between PPT’s and PPD’s in terms of effects, bioavailability, half-life, and metabolic products. To create a more accurate picture of the differences in effects between panax ginseng and American ginseng, we’ll take a look at a couple of the main ginsenosides present in Panax Ginseng. This ginsenoside is present in high concentrations in panax ginseng, but only present in American ginseng in very low concentrations. Like the majority of non-metabolized ginsenosides, Rg1 is glycosylated at C6 and C20 (Chen et al., 2008). Due to this, Rg1 has a high molecular weight and is hydrophobic, which causes it to have a fairly low bioavailability of 1.9-18.4 % (Park et al., 2013). Luckily, Rg1 eventually becomes deglycosylated to its aglycone Rh1 that reportedly has superior bioavailability. On top of this, Rg1 is the aglycone of Re which is one of the main PPT’s present in panax ginseng. Taking this into account, it can likely be assumed that despite its low bioavailability, Rg1 will display significant biological activity. Rg1 stabilizes stress hormone levels, and has the potential to bring us to an optimal state of stress; which will provide many benefits. However, if it is the case that an individual has been dealing with high levels of stress consistently for a long period of time, then chances are that this individual is suffering from one of the many outcomes of chronic stress: depression. In animal research, chronic mild stress (CMS) is one of the most reliable depression models. CMS produces both behavioral and neurochemical changes that are consistent with that seen in depression. Rg1 has been shown to reverse both the behavioral and neurochemical effects of CMS with a comparable efficacy to imipramine, a tricyclic antidepressant (Jiang et al., 2012). This effect appears to be produced by two main mechanisms. The first is Rg1’s ability to normalize CMS disrupted HPA-axis functioning; which leads to increased serum levels of corticosterone. This is similar to the effect Rg1 has on GR since corticosterone is also a ligand for this receptor. Secondly, and currently the most relevant mechanism of action, is that Rg1 can normalize impaired neuroplasticity caused by CMS. In the past, the main theory behind depression was that it was caused by impaired functioning of the monoaminergic systems, particularly serotonin and norepinephrine. However, it has recently been discovered that the majority of classical antidepressant likely don’t produce their anti-depressant effect directly via monoaminergic systems. Instead it is now believed that depression is in part the results of hippocampal atrophy, and that common anti-depressants indirectly reverse this via their monoaminergic effects. Rg1 has been shown to directly reverse hippocampal atrophy independent of monoaminergic systems. It does this by upregulating BDNF, pERK and pCREB, which are all factors that are essential for hippocampal neurogenesis (Jiang et al., 2012). So to summarize, Rg1 reduces stress and can ameliorate depression caused by stress. Furthermore it appears that Rg1 also upregulates the BDNF-TrKb system in non-stressed animals. Particularly, it upregulates the BDNF-TrKb system in animal models of Alzheimer’s disease. By doing this it can significantly reverse the memory impairments caused by Alzheimer’s disease (Li et al., 2016). Due to these findings it is not entirely unreasonable to assume that Rg1 can upregulate the BDNF-TrKb system in healthy adults. If this is the case then Rg1 has the potential to significantly enhance memory and learning in healthy adults. The list seems to just keep going for Rg1, from clearing beta-amyloid plaques, to improving Parkinson’s symptoms through its anti-oxidant and neuroprotective effects. At this point it can be safe to say that taking into account just Rg1, which constitutes the majority of the ginsenosides in panax ginseng, it can be said that panax ginseng truly lives up to its name as being a panacea. Hopefully we have not lost you yet, and you are just as interested in this as we are! Let’s talk about another ginsenoside, Re. Re is another PPT that is very promising. It has been shown to significantly increase extracellular levels of acetylcholine and dopamine in both the hippocampus and the medial prefrontal cortex (Shi et al., 2013). These two neurotransmitters, especially in these two brain regions are crucial for memory, learning, alertness and motivation. However as mentioned in the study by Shi et al., (2013), Re has very poor bioavailability of 0.19 % - 7.06 %, in addition to this the small amount that does get absorbed is very quickly metabolized. To be precise, after administration of Re to rats via a subcutaneous injection, Re was completely undetectable in just 240 minutes. This means that Re has an incredibly short half live and thus we can’t be completely sure how significant of an effect Re has after oral administration in humans. Luckily Re is quickly metabolized to Rg1, thus possibly contributing to the amount of Rg1 that makes it to the brain since Re has been shown to exhibit excellent BBB permeability. The protopanaxadiol (PPD) ginsenoside content is lower in Panax Ginseng, but higher in American Ginseng. These consist of Rb1, Rb2, Rc, Rd, and Rg3. These ginsenosides have lower affinities for the glucocorticoid receptor (GR), and higher affinity for the estrogen receptor (ER). It’s these differences in affinity that really alter the subjective difference in effects between extracts derived from the two species. This is also why traditional Chinese medicine considers American Ginseng to be on the “Yin” side, while the more stimulating Panax Ginseng is on the “Yang.” Not surprisingly, Yin energy is said to be the more feminine trait, while Yang to be the masculine. With the glucocorticoid and estrogen receptor affinities taken into account, it is no wonder the Chinese categorized the two plants the way they did. We will go into more detail about the individual protopanaxadiols in a later article on American Ginseng. So as you can see, looking at the percentage of total ginsenosides in a ginseng extract is really missing most of the detail needed to fully understand the effects one will receive. The protopanaxatriol ginsenosides present in Panax Ginseng are going to lead to much more stimulating effects on the body. It’s really Rg1 and Re that give the stimulating effects most people associate with the plant. Standardization to those two is going to determine just how effective an extract it is at increasing energy. While Rg1 and Re are present in the roots, and that is the most common plant part used in supplements, they are found in much higher concentrations in the leaves. Similarly, these two ginsenosides are very low in American Ginseng. With American Ginseng being very often mislabeled as Panax Ginseng, due to incorrect analytical testing methods, or a lack of understanding regarding the nuances of the various ginsenosides, one can see why there is so much variability in people’s reported effects from the supplements they take. American Ginseng is much cheaper to produce as well. So it is an attractive option for less scrupulous vendors to substitute. This not only has the unintended side effect of hurting people’s view of the effectiveness of Panax Ginseng products, but also artificially deflates the perceived value of the plant. Real Panax Ginseng is an amazing supplement for energy, focus, and memory, and should be considered a cornerstone of many natural supplement regimens. 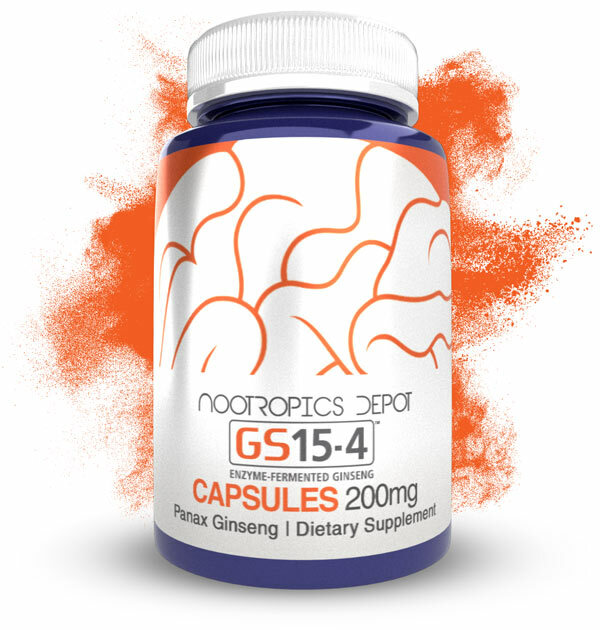 Nootropics Depot offers a robust selection of Panax Ginseng powders including a Leaf Extract, a Root Extract, the clinically-trialed GS15-4, and a Sample Pack that features all three. Butyl Hydroperoxide-Induced Premature Senescence in Human WI-38 Diploid Fibroblast Cells. The Journals of Gerontology Series A: Biological Sciences and Medical Sciences, 63(3), 253-264. Hohman, T. J., Bell, S. P., Jefferson, A. L., & for the Alzheimer’s Neuroimaging Initiative. (2015). The Role of Vascular Endothelial Growth Factor in Neurodegeneration and Cognitive Decline: Exploring Interactions with Biomarkers of Alzheimer’s Disease. JAMA Neurology, 72(5), 520–529. Jiang, B., Xiong, Z., Yang, J., Wang, W., Wang, Y., Hu, Z.-L., … Chen, J.-G. (2012). Antidepressant-like effects of ginsenoside Rg1 are due to activation of the BDNF signalling pathway and neurogenesis in the hippocampus. British Journal of Pharmacology, 166(6), 1872–1887. Vascular Endothelial Growth Factor Expression through the Glucocorticoid Receptor-related Phosphatidylinositol 3-Kinase/Akt and beta-Catenin/T-cell Factor-dependent Pathway in Human Endothelial Cells. Journal of Biological Chemistry, 281(47), 36280-36288.
and protopanaxatriol bind to glucocorticoid and oestrogen receptors in endothelial cells. British Journal of Pharmacology. 2009;156(4):626-637. doi:10.1111/j.1476-5381.2008.00066.x. Leung, K. W., & Wong, A. S.-T. (2010). Pharmacology of ginsenosides: a literature review. potentiation and memory in an Alzheimer's disease model. Molecular Medicine Reports, 13, 4904-4910.
bioconversion of ginsenosides in purified crude saponin and extracts from red ginseng (panax ginseng C. A. meyer). Food Science and Biotechnology, 22(6), 1629-1638.
releasing effects of ginsenoside Re in hippocampus and mPFC of freely moving rats. Acta Pharmacologica Sinica, 34(2), 214–220.